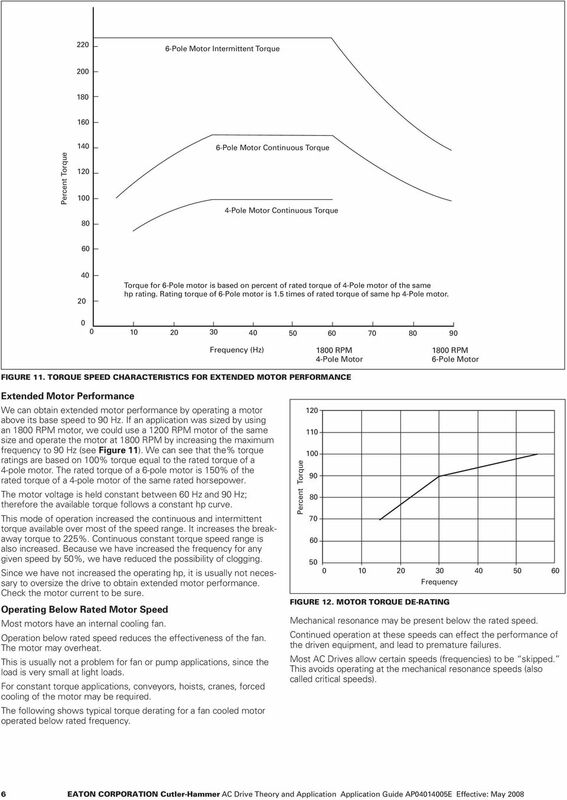 Download "AC Drive Theory and Application"
1 AC Drive Theory and Application Application Guide AP4145E Effective May 28 Introduction Adjustable Frequency AC Drive System Description An adjustable frequency AC drive system consists of an ordinary three-phase induction motor, an adjustable frequency drive to control the speed of the motor and an operator's control station. 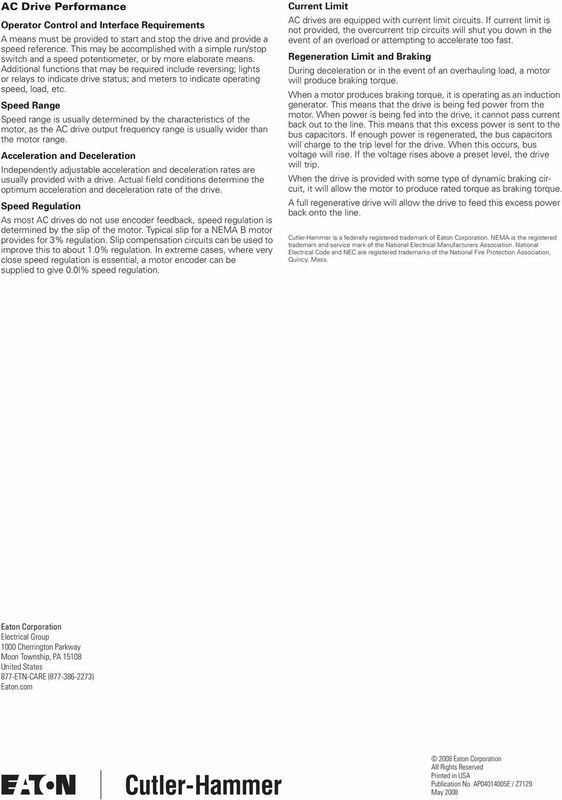 The most common motor used with an AF drive system is a standard NEMA design B squirrel cage induction motor, rated for 23 or 46 volt, 3-phase, 6 Hz operation. The adjustable frequency controller is a solid-state power conversion unit. It receives 24 or 48 volt, 3-phase, 6 Hz power and converts it to a variable frequency supply which can be steplessly adjusted between and 6 Hz. The controller also adjusts the output voltage in proportion to the frequency to provide a nominally constant ratio of voltage to frequency as required by the characteristics of the motor. The operator's station provides the operator with the necessary controls for starting and stopping the motor and varying the motor speed. These functions can also be performed by a wide variety of automatic control systems. 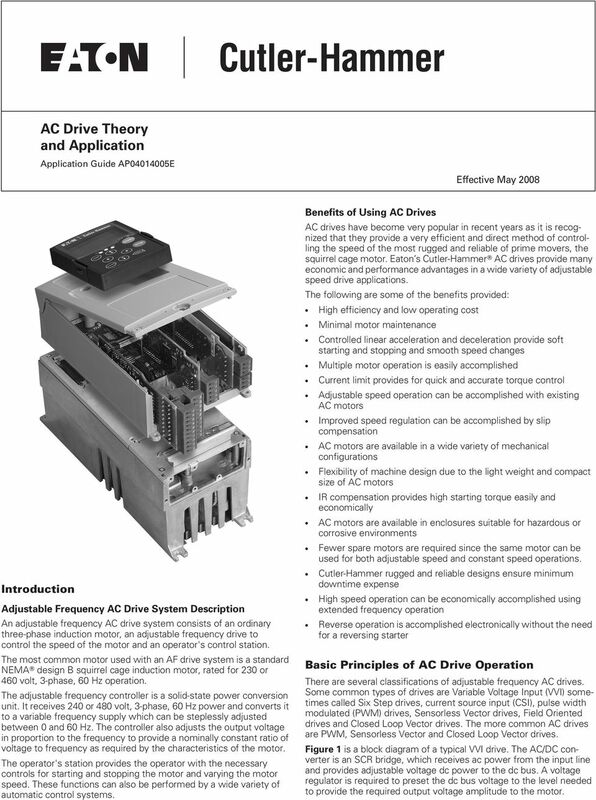 Benefits of Using AC Drives AC drives have become very popular in recent years as it is recognized that they provide a very efficient and direct method of controlling the speed of the most rugged and reliable of prime movers, the squirrel cage motor. Eaton s Cutler-Hammer AC drives provide many economic and performance advantages in a wide variety of adjustable speed drive applications. 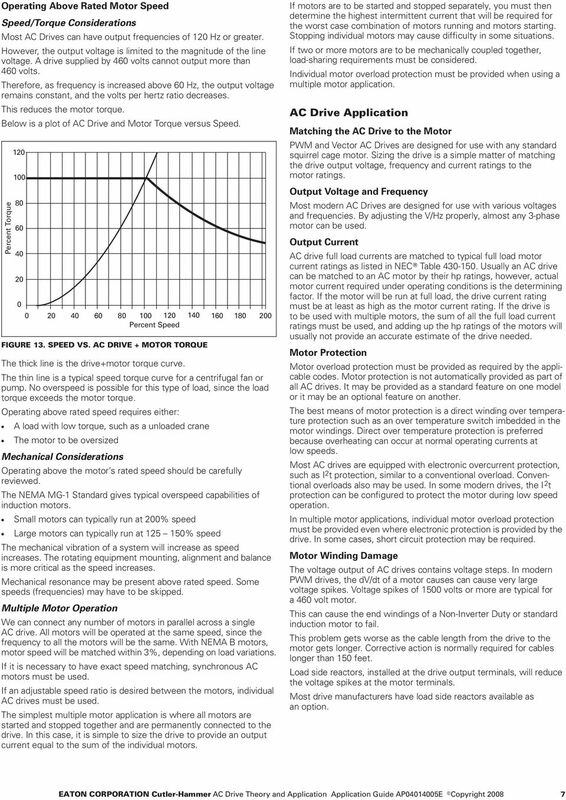 The following are some of the benefits provided: High efficiency and low operating cost Minimal motor maintenance Controlled linear acceleration and deceleration provide soft starting and stopping and smooth speed changes Multiple motor operation is easily accomplished Current limit provides for quick and accurate torque control Adjustable speed operation can be accomplished with existing AC motors Improved speed regulation can be accomplished by slip compensation AC motors are available in a wide variety of mechanical configurations Flexibility of machine design due to the light weight and compact size of AC motors IR compensation provides high starting torque easily and economically AC motors are available in enclosures suitable for hazardous or corrosive environments Fewer spare motors are required since the same motor can be used for both adjustable speed and constant speed operations. Cutler-Hammer rugged and reliable designs ensure minimum downtime expense High speed operation can be economically accomplished using extended frequency operation Reverse operation is accomplished electronically without the need for a reversing starter Basic Principles of AC Drive Operation There are several classifications of adjustable frequency AC drives. Some common types of drives are Variable Input (VVI) sometimes called Six Step drives, current source input (CSI), pulse width modulated (PWM) drives, Sensorless Vector drives, Field Oriented drives and Closed Loop Vector drives. 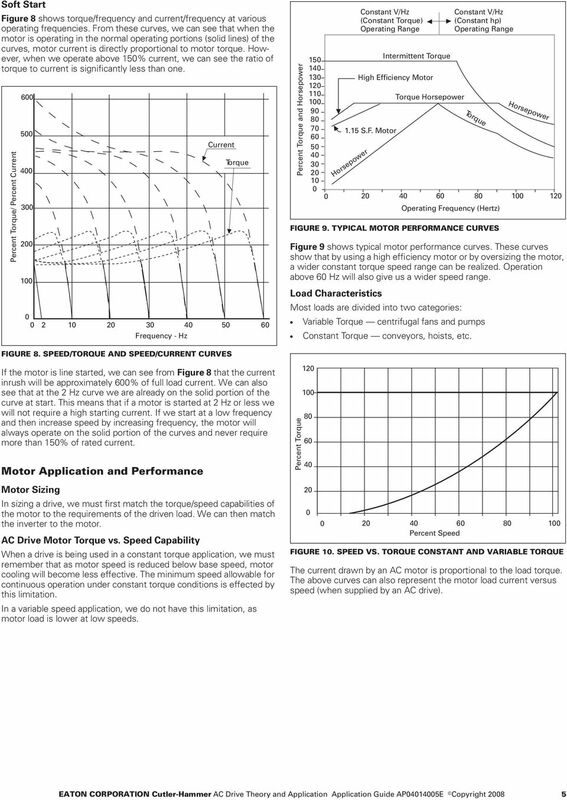 The more common AC drives are PWM, Sensorless Vector and Closed Loop Vector drives. 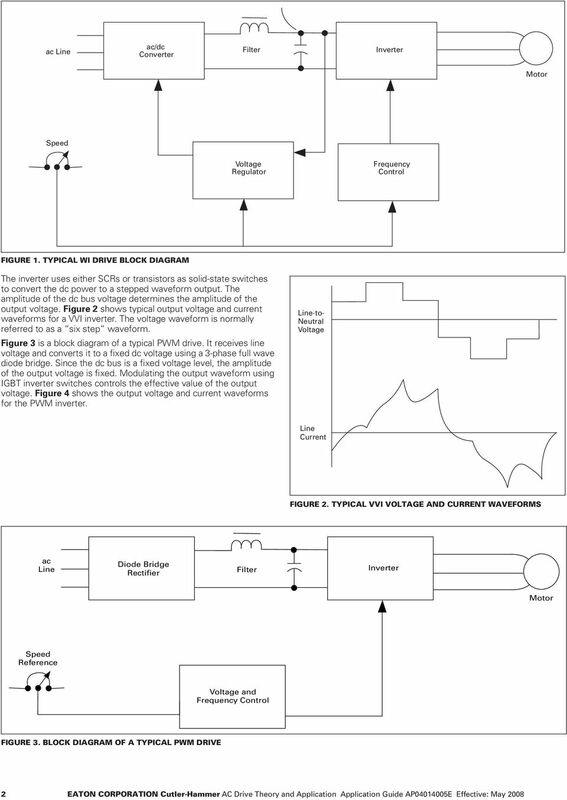 Figure 1 is a block diagram of a typical VVI drive. The AC/DC converter is an SCR bridge, which receives ac power from the input line and provides adjustable voltage dc power to the dc bus. 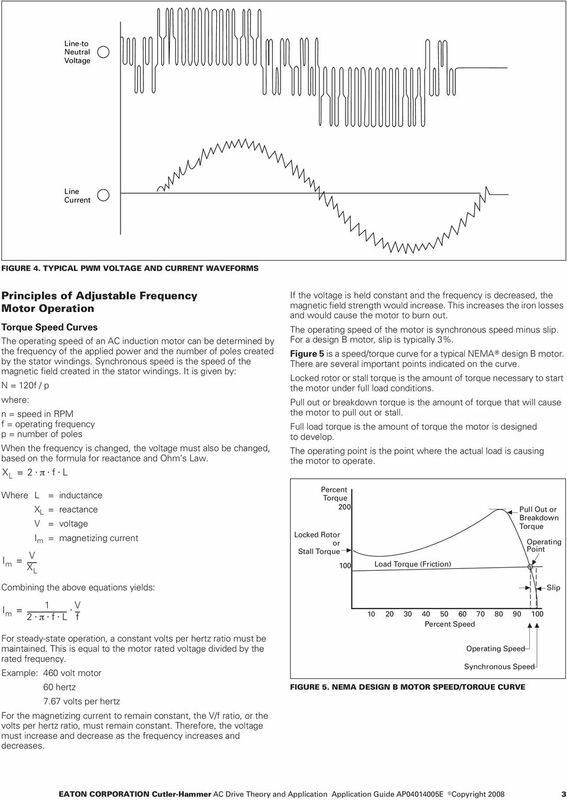 A voltage regulator is required to preset the dc bus voltage to the level needed to provide the required output voltage amplitude to the motor. 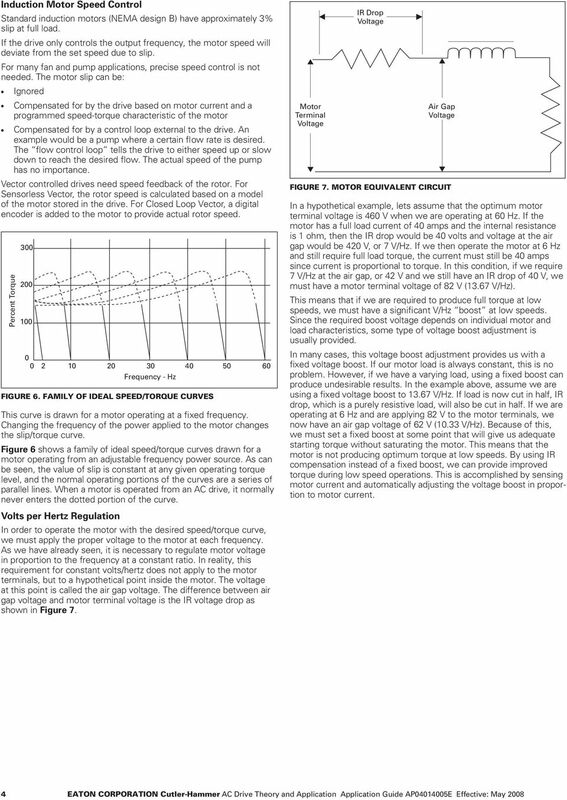 The Quick Guide to AC Variable Frequency This ebook is meant as an easy guide to any electrical or electronic engineer or technician, who would like to know how modern ac variable frequency drives work. Single-Phase AC Induction Squirrel Cage Motors. Permanent Magnet Series Wound Shunt Wound Compound Wound Squirrel Cage. Induction. We will discuss common industrial applications with guides for the proper use of electric motors on these. VFDs: Do s and Don ts What can t be controlled? VFDs: Do s and Don ts What can t be controlled? Kriss Schneider President Schneider Water Services St. Paul, OR Richland, WA www.schneiderwater.com PNWS-AWWA Conference Spokane Washington Why We Are Here? Introduction Adjustable frequency drives have become the standard method of control for heating, ventilating and air conditioning (HVAC) systems due to precise control and very significant energy savings.